Magento 2 vs Magento 1: Do You Need Upgrade? What you need to know about the e-business platform's newest upgrade, and the impact it can have on your web dev and UI/UIX. We remember the time when we were waiting for Magento 2 release and were so excited when it happened. The Magento team put a lot of effort into that release and delighted us with new improvements. Since that time, many store owners have become curious to know if they should move the store from Magento 1 to Magento 2 and if so – when it should happen. So, we’ve done some research on what has been added or changed in Magento 2 in comparison with Magento 1 to collect more information for our clients when they ask us the question: “to be or not to be” with Magento 2. In this article, you will find the main changes and an improvements overview. We will start with performance improvements for Magento 2 because it is one of the main issues that store owners have on Magento 1. Therefore, we often do Magento performance audits to find a way for every store to individually optimize the performance and make that store faster. 1. It is worth mentioning that Magento 2 officially supports latest the versions of PHP (starting from PHP 5.5.x), including PHP 7. Those versions already include new security fixes and improvements that directly affect a web store’s speed. In one of our articles, we’ve already described the benefits of running Magento with PHP 7. And for sure, we strongly recommend using PHP 7 when building Magento 2 stores. 2. On the server side, there is a very welcome Magento 2 improvement – the ability to use Varnish caching out of the box, so store owners will not have to install a third party’s module for that. 4. Image compression – now it is possible to optimize images directly on the server using Magento 2's built-in tools. In Magento 1, we had to do it manually. 5. Improved process of browser caching for static content. In comparison with Magento 1, the admin panel in Magento 2 is much more user-friendly and intuitive. We will describe the main changes in the admin panel here and you will be able to find a more detailed overview in our future articles. 1. 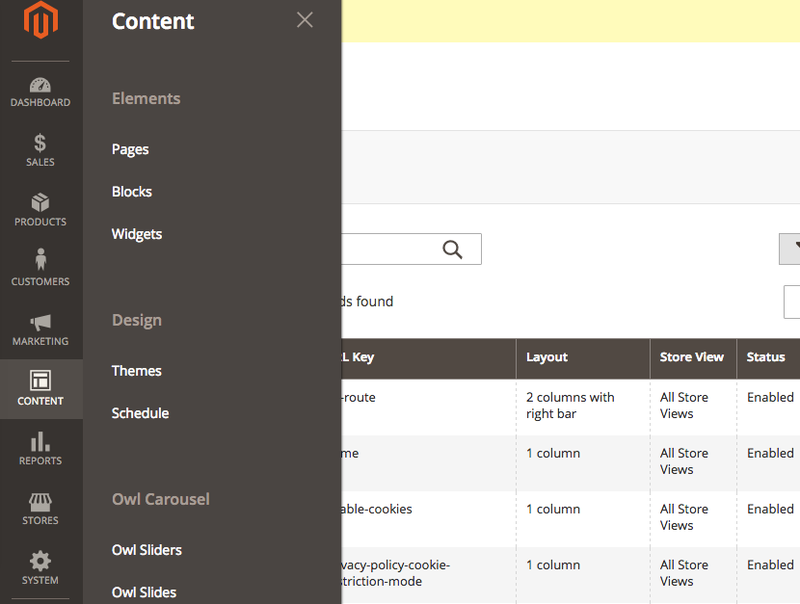 Modern admin panel navigation interface. It allows you to easily navigate to all parts of the admin panel, find information easier, and manage your store more efficiently. 2. Magento 2 Dashboard shows Lifetime Sales, Average Order, Last Orders, Last and Top Search Terms – which all help to monitor the current state of your business. 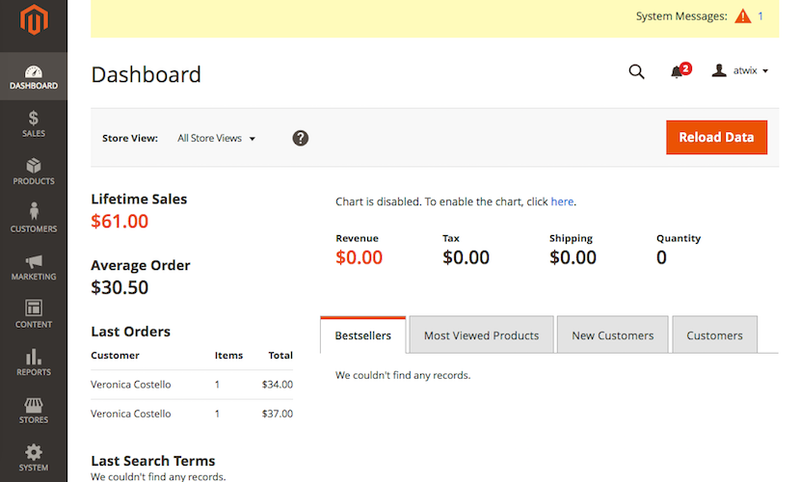 Also, you can see your Revenue Tax, Shipping and Quantity, check Bestsellers and Customers in the Dashboard. 3. New step-by-step product creation tool that makes new product upload easier. Now you can also link videos to your products in addition to the images. 4. What is also good is that with Magento 2 is that you do not need to contact your developers every time you want to add or remove the columns on the orders or customers management grid; you can simply choose the required columns from the available list in the admin panel. 5. Improved and faster product data import. 6. 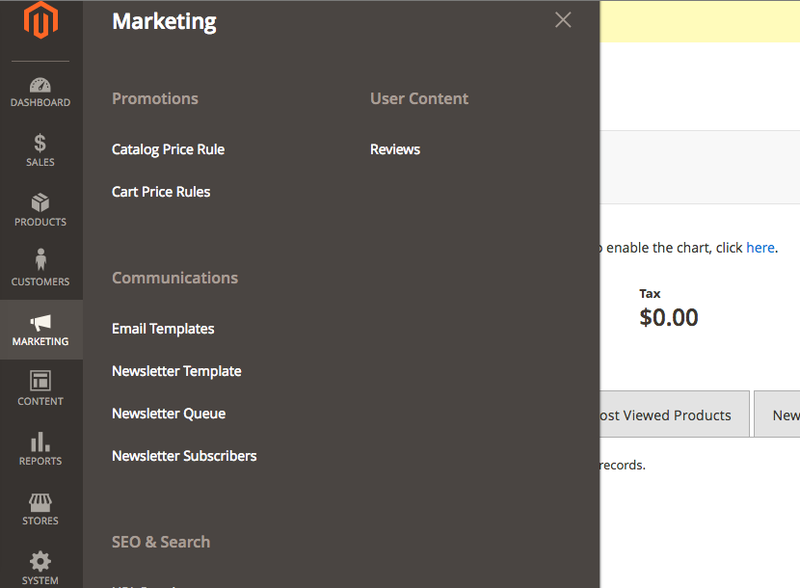 In the new Marketing section, you can find all the tools you remember from Magento 1 to work with Promotions, User Content, Communications, SEO & Search – all you need to keep your current customer's loyalty and promote your store. 7. Fill in all information about your company, and store it with the new-and-improved Content section. 8. 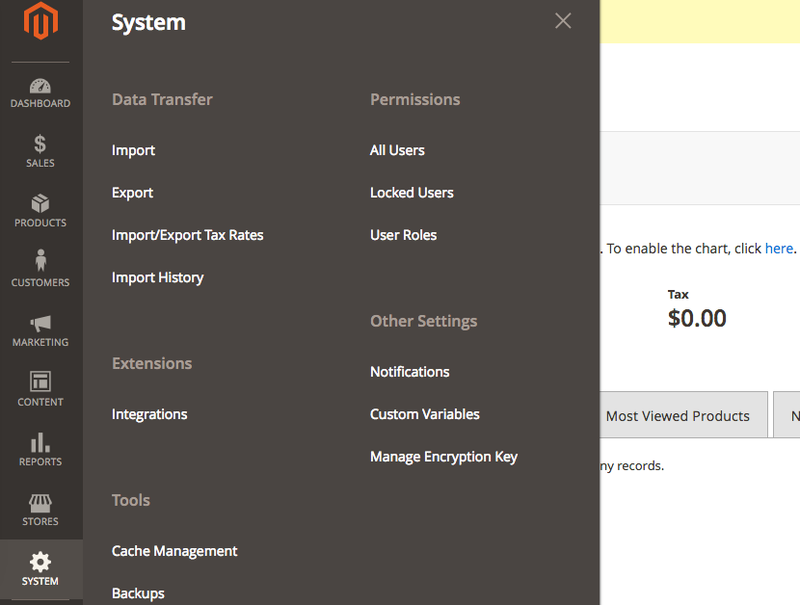 Last, but not least, in this section is the Data Migration Tool. By using this tool, you can transfer your Magento 1 data to Magento 2 faster. We’ve described only a few of the most visible changes. Try to work with the new Magento 2 admin panel, and you will see how good it is in comparison with Magento 1. 1. 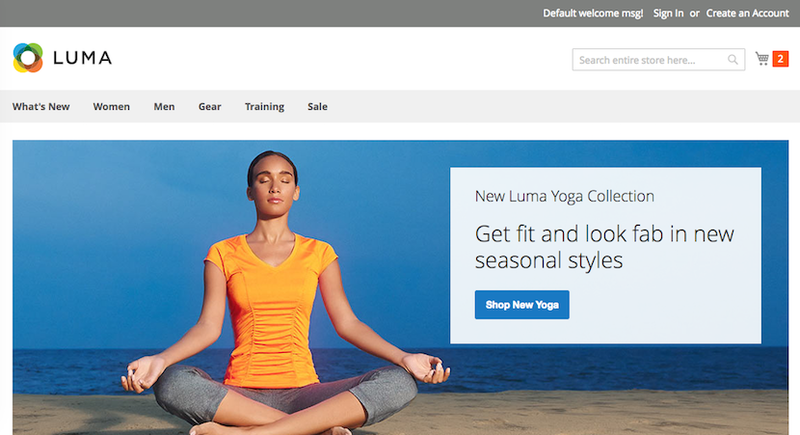 The new Magento 2 Luma theme looks much better than the default Magento 1 theme. 2. Responsive web design: users can easily access the store via any desktop or mobile device. Remember, that since April 21st, 2015 Google has been granting higher rankings in search results for mobile-friendly stores. 3. Faster frontend performance. Website visitors will not have to wait for the full page to load to see the primary content. 4. 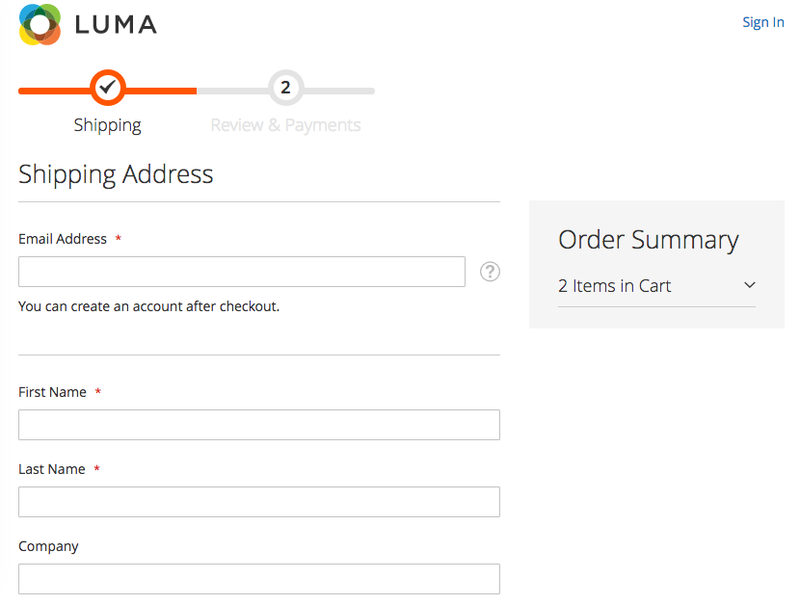 Checkout steps have been improved, and now it is easier for users to navigate. 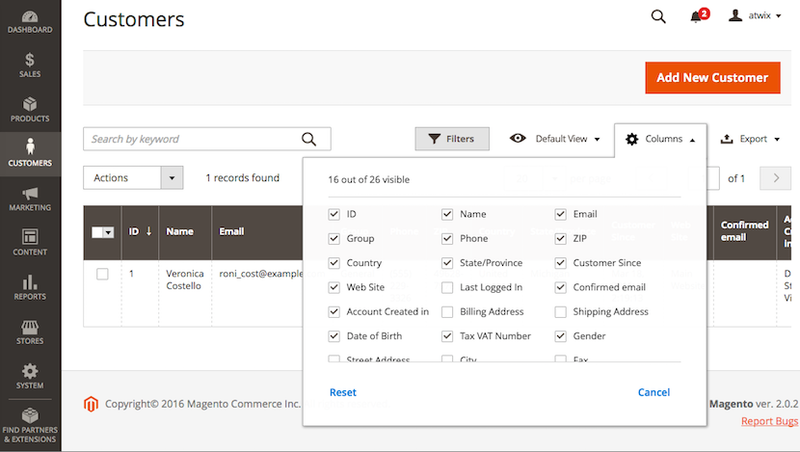 Guest checkout is allowed (if this feature is set to “yes” in the admin panel) and Magento 2 can automatically find the existing registered customers by analyzing their email address. 5. Simplified registration process during checkout. 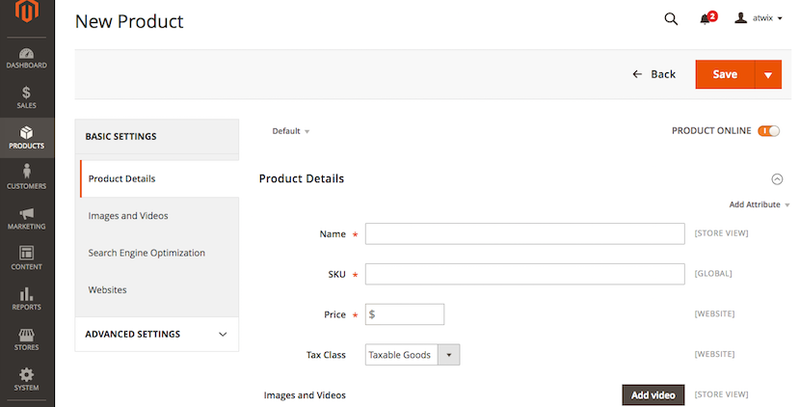 In Magento 2 customers are able to create an account on the checkout success page. 6. Order details list the shopping cart with all products, their quantity and subtotal, as well as images. This allows customers to see what they’ve ordered in a more clear way. 7. Billing information of the customers is sent from the website directly to the payment gateway, which is a secure way. Magento 2 includes PayPal, Braintree, Authorize.net, WorldPay, and few other payment methods out of the box. 1. Strengthened hashing algorithms (SHA-256) for passwords. Passwords are now more resilient to the dictionary types of attacks. 2. Rich snippets on the catalog pages allow for improved search results in search engines. However, we’ve improved the default functionality with our Magento 2 Rich Snippets extension. As you can see, Magento 2 grows every day and becomes more and more popular. It has many improved features that are quite useful. While Magento 1 Merchants still think about migration and wait for new announcements to finally make that decision, development companies are creating more and more extensions for Magento 2. Meanwhile, Magento 1 is still popular and, consequently, it will be supported by Magento until November 2018. Of course, the support is mostly related to security patches and important fixes, no new features or improvements are coming for Magento 1 anymore. All Magento’s workforce is now concentrated on Magento 2 development and growth. From our side, we can say that Magento 2 is a huge improvement for both Merchants and Magento Developers. Migration from Magento 1 to Magento 2 surely takes some time and if you’d like to follow the progress, it is about time to at least start planning it. Published at DZone with permission of MARIA ZAYAC . See the original article here.